Social media marketing is a must for small businesses today. But by nature, it’s highly demanding and can become a serious productivity killer. It’s not just sending a few tweets or liking posts. It’s about engaging with followers, finding relevant content, scheduling future posts, community management, and so on. For a small business, it can become overwhelming. As a business, you want to automate as much of your social media content as possible without losing the personal touch with your followers. 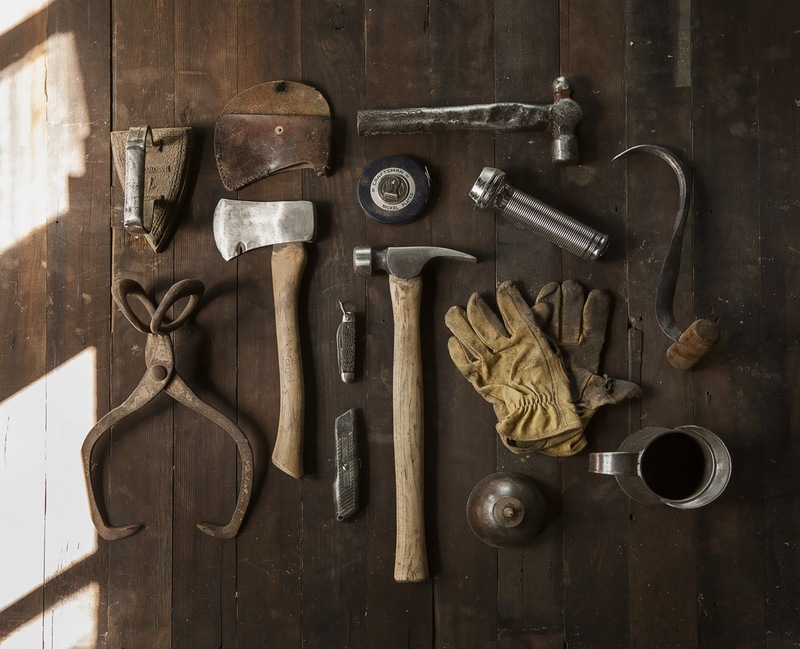 Here are some solid tools to help you with that. 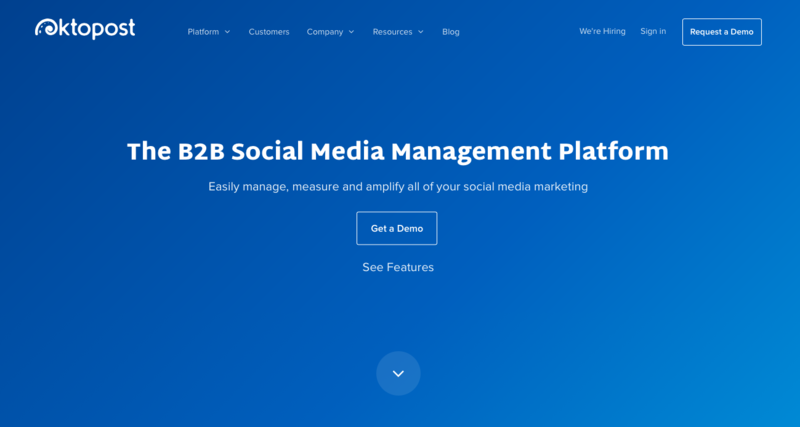 There are bunch of full-fledged social media management tools and it’s hard to recommend just one. It’s a matter of personal preference. Among the leaders in this space are Hootsuite, Sprout Social, and Agorapulse. One of the exciting new tools in the market also is Falcon.io, which allows marketers to create, launch, and measure social media campaigns in real time. There are also a bunch of scheduling tools, but we fancy Buffer above all the rest. The platform allows you to easily schedule your posts across social media accounts including Facebook, Instagram, Twitter, LinkedIn and more. It integrates with many other tools, provides a browser add-on to make it easy to schedule new content as you browse, and has some great analytics features. BuzzSumo is an excellent tool to help you uncover the trending topics and content that performs across various social media the best. You can also identify influencers (and spy on your competition if that’s what you’re into). A url shortener and a click reporting tool all in one. Great for Twitter if you’re a manual user, as it allows you to track the clicks to help you understand which posts are performing and which posts aren’t. Searches Twitter for specific keywords, phrases, hashtags, and mentions and creates alerts that get delivered to your inbox daily. A great tool to compare your social media engagement and the top-performing content against your competitors’ content. Easy to use and highly insightful with automated, custom reporting. 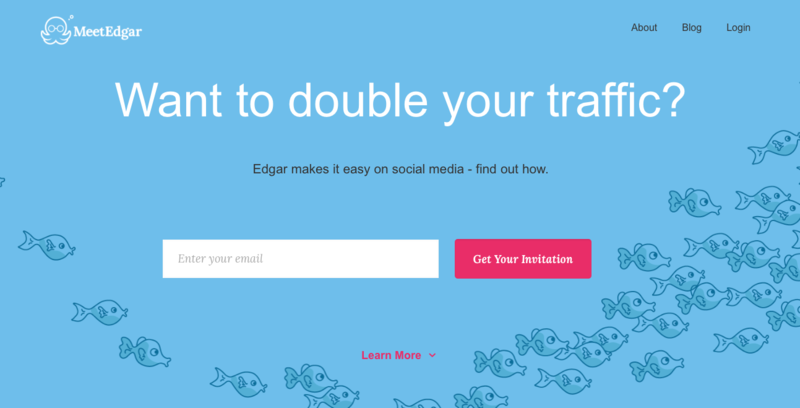 Edgerank Checker helps you optimize your Facebook content. It provides insights necessary to help you create content that boosts your reach and engagement. Cyfe is business dashboard. 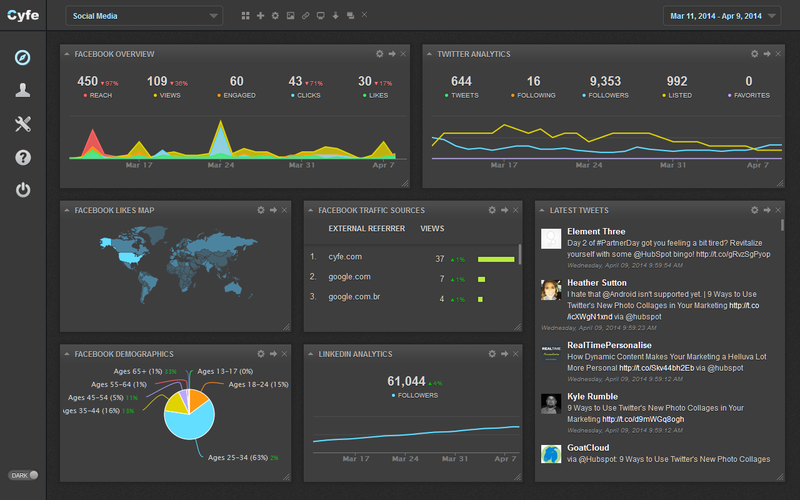 Unlike social media dashboards, it aggregates data from multiple platforms including social media metrics. The great thing about it is that it helps you see the big picture and assess and evaluate engagement impact and ROI. Geckoboard and Leftronic are two other great tools in this space. A social media analytics tool that measures and optimizes your social media marketing and provides analytics and recommendations on Twitter and Facebook. MeetEdgar helps you recycle your content, so that you can reach a larger percentage of traffic using your existing content assets. IFTTT is a powerful automation tool that’s incredibly simple and easy to use. 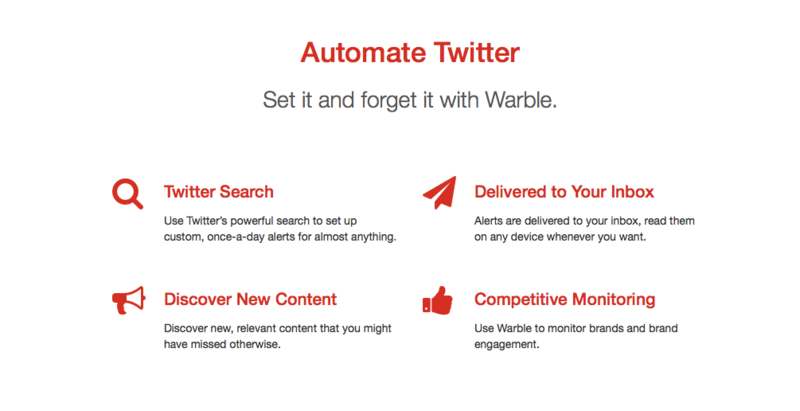 You create or pick ‘recipes’ to automate specific tasks on Facebook, Twitter, and other social networks. Also remember to share the wealth, IFTTT can also help your non-marketing team members. Visual content gets much higher engagement and conversion rates than text only content. Canva helps you create beautiful images and other visual assets. 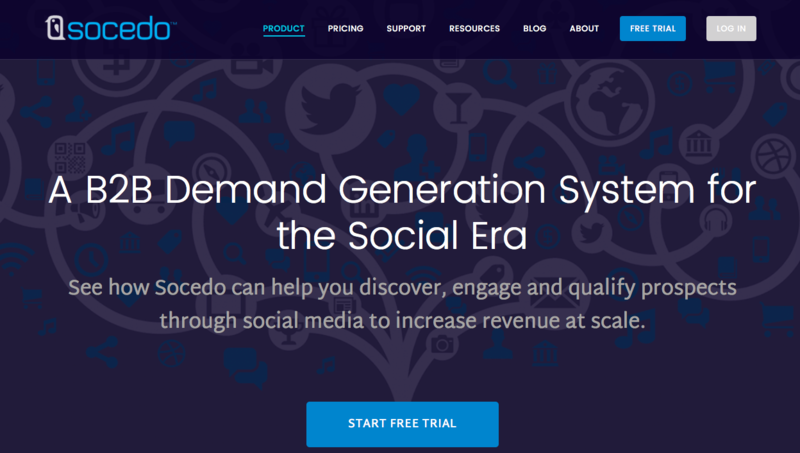 Socedo identifies new prospects on Twitter and automates engagement with them on your behalf. Tailwind is a comprehensive Pinterest marketing tool to help you run your Pinterest marketing campaigns and efforts. It’s the official partner for Pinterest marketing. You can create and manage multi-board pins, bulk uploads, scheduling your content, and optimizing the best times to send your pins to get the highest engagement. A powerful tool to help you find, engage, and manage relationships with the most relevant influencers in your market. A lead generation tool designed for social media. 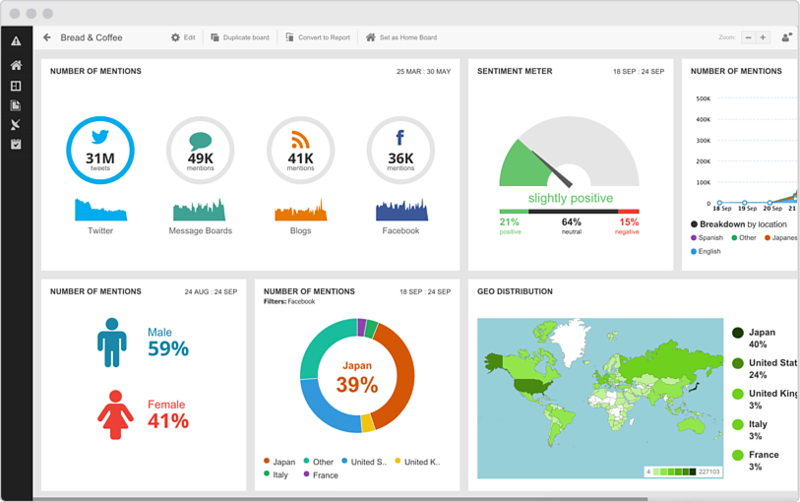 While social media dashboards like Hootsuite help businesses schedule content, Oktopost is designed to help you make money. Mention is a brand management and social media monitoring tool that lets you track social mentions, analyze competitors, find influencers, and generate leads. Your small business most definitely does not need all 17 of these tools at once. And you most likely don’t even need 10 at once. Your best bet is to start small. Test out a scheduling tool like Hootsuite or Buffer. As your social media audience and influence grows, identify where your marketing strategy needs some muscle and explore tools that meet those needs. Dear LinkedIn, I’ve Lost That Loving Feeling.